Want To Be A Part Of Something Meaningful This Weekend? 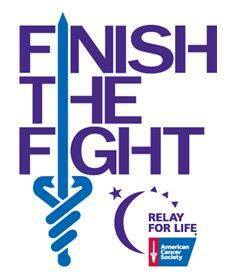 Stillwater Relay for Life River of Hope Classic begins Friday August 1, 2014 at 6:00 PM to Saturday August 2nd at Noon. This is the 20th year that Stillwater has hosted this event and is held at the Stillwater Area High School. This year the relay will be an eighteen hour event that honors, dedicates & remembers those who have fought against Cancer or are holding on to hope that a cure will be found. This is a family friendly event that consists of teams with individuals that take turns walking the track for eighteen hours. Walkers range from elementary school age to seniors. It features many stories of survival and inspirational keynote speakers. The keynote speaker this year is Sue Baldwin who is a cancer survivor and the anchor of the Team Baldwin Bunch. I’LL BE WALKING WITH MY GRANDCHILDREN IN HONOR OF THOSE WE HAVE LOVED AND LOST TO CANCER.